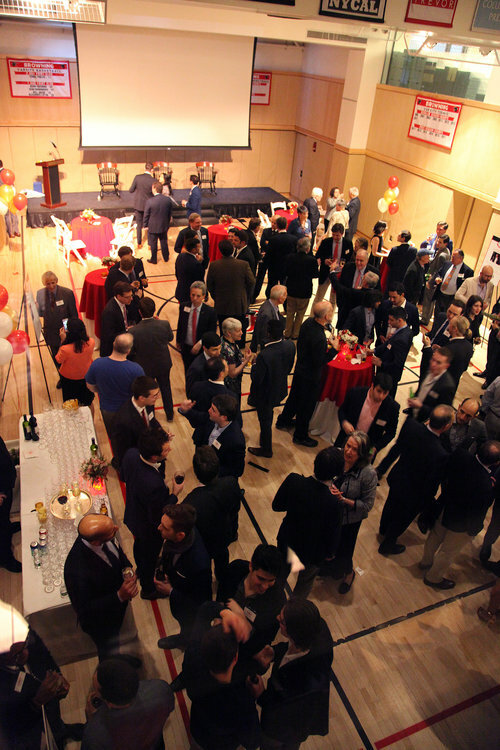 On Friday, April 13, more than 160 alumni and guests returned to Browning for the annual Alumni Reunion. Alumni ranging from the Classes of 1950 to 2013 returned to Browning, along with a number of current and former faculty, for the Upper School assembly, True Grytte Society and Donor Recognition Luncheon, and the Reunion reception. 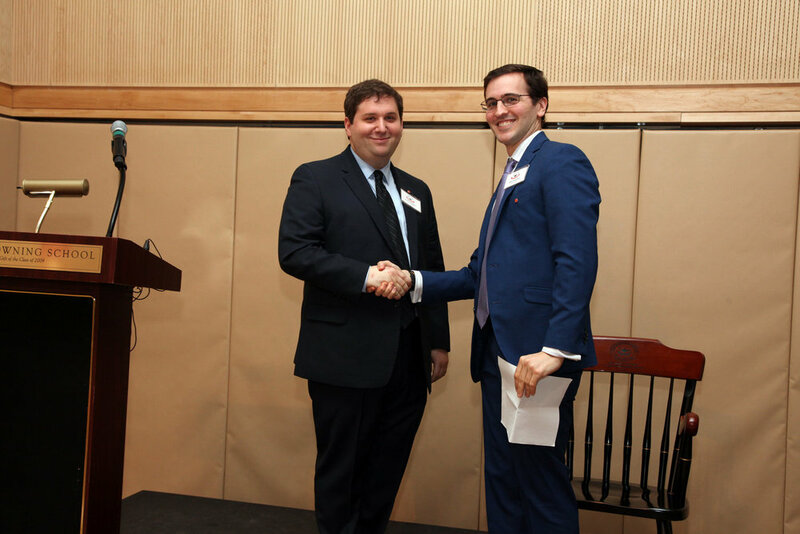 This year, the Alumni Association’s highest distinction, the Charles W. Cook ’38 Alumnus Achievement Award, was presented to Zachary Goldfarb ’01, deputy business editor of The Washington Post. Mr. Goldfarb was honored during the Reunion evening reception with an award ceremony led by Head of School John Botti and Alumni Association President Andy Sandberg ’01. 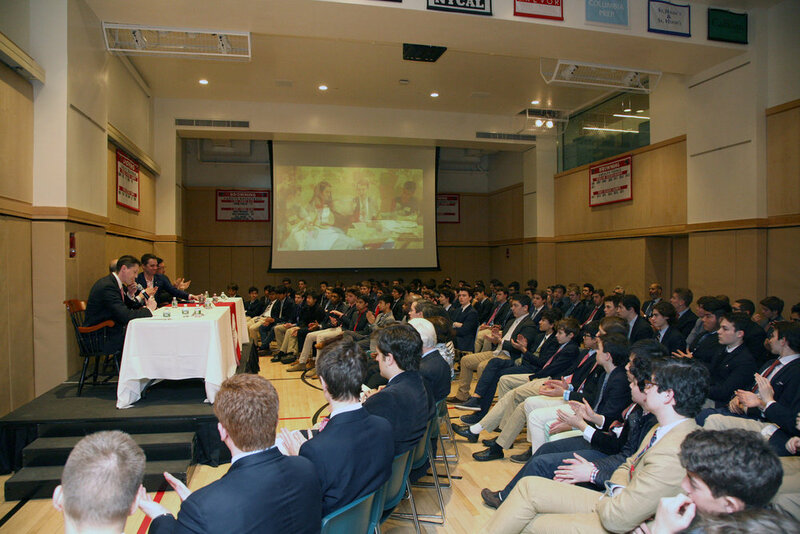 Earlier in the day, an Alumni Panel presented at the Upper School assembly and featured three inspiring alums: Lawrence Bahr ’96 (financial advisor at Morgan Stanley), Chris Coffey ’98, (head of the NY practice of Tusk Ventures and Tusk Strategies) and Francisco Estrada ’93 (talent acquisition consultant at AMC Networks). At 11 a.m., Zachary Goldfarb ’01 met with the staff of Browning’s student newspaper, The Grytte, sharing his experience as a White House correspondent, the state of affairs in the newsroom today and invaluable advice to the next generation of journalists. At noon, the annual True Grytte Society and Donor Recognition Luncheon was held for the 12th year nearby, where guests were treated to a special musical performance by Browning’s a cappella group, the A CaPanthers. The Alumni Association is grateful to all who helped make this event possible! Click here to view all photos.